In International Dagger Award–shortlisted author Cay Rademacher's novel, Capitaine Roger Blanc travels from Paris to Provence to solve a chain of murders in this French countryside city. 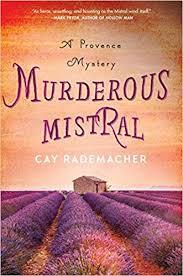 Part police procedural and part travelogue, Cay Rademacher’s Murderous Mistral is a perfect getaway mystery. This tightly-plotted whodunit (briskly translated from the German by Peter Millar) uproots Capitaine Roger Blanc from his prestigious office in the Paris gendarmerie to the Midi... 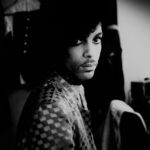 The detective-as-outsider convention works really well in humanizing Blanc, whom the elegant women in the district find especially amusing ... By the time Blanc is presented with his second murder case, he’s ready to admit that his new home in the countryside is more stimulating than he’d thought. Criminal misdeeds turn out to be just as devious in charming Provence as in the mean streets of Paris. Shortly after exposing government corruption, Parisian police captain Roger Blanc is summoned by the minister of state and transferred to the south of France, effective immediately ... Their first case together revolves around a corpse found near a garbage dump, burned and still smoking ... Solid leads are few and far between, though there is no dearth of suspects or, for that matter, shady behavior in paradise ... Rademacher writes with quiet authority, methodically filling in pieces of the puzzle and laying a solid foundation for further clever whodunits with a strong supporting cast. Peter Mayle fans will welcome this promising series launch from German author Rademacher (The Murderer in Ruins). Solving a political corruption case earns Paris gendarme Roger Blanc a punitive transfer to the south of France ... When the suspect from that case is discovered shot and burned in a garbage dump, Blanc and Tonon take on the investigation... As the seasonal mistral blows through the parched countryside, wounded hero Blanc and his unlikely sidekick navigate political and social minefields in pursuit of a ruthless killer. The appealing locale, pervaded by the scent of wild thyme, and the charming residents of Sainte-Françoise-la-Vallée make up for some uneven pacing. What did you think of Murderous Mistral: A Provence Mystery?